Recently, Michele Conlin published an article for Reuters Online, which can be read here, stating that many Americans are struggling with banks coming after them for a deficiency judgment years after foreclosing on their property. A lender has the option of suing a borrower for a deficiency on the mortgage, if the post-foreclosure sale of the property does not fullfil the lender's claim. If you are facing a foreclosure, it is important to think about bankruptcy as an option because you can discharge your personal liability on the debt owed to your lender. 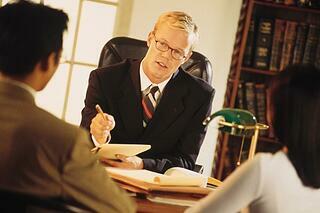 Thus, the lender would not be able to pursue a deficiency judgment against you post-bankruptcy. Fortunately for residents of New Jersey, a lender must commence a deficiency action "within 3 months from the date of the (foreclosure) sale, or, if confirmation is or was required, from the date of the confirmation of the sale of the mortgaged premises" pursuant to N.J.S.A. 2A:50-2. However, there can also be tax implications post-foreclosure, which can be aided through discharging the debt through a bankruptcy regardless of whether the lender pursues a deficiency action against a borrower. If you are considering bankruptcy, contact a lawyer for a free bankruptcy consultation so you can be guided accordingly as to what your options are and what option is best for you. The bankruptcy process can be difficult to navigate, so it is important that you have someone representing you who is familiar with the process to make sure everything goes smoothly.